LifeProof is the latest innovation in vinyl flooring, available exclusively at The Home Depot. LifeProof Luxury Vinyl Flooring features an innovative, highly engineered closed-cell foamed vinyl core that delivers rigidity and strength, yet is lightweight and easy to handle and install. LifeProof Luxury Vinyl Flooring features authentic embossing that looks and feels like real tile. The simple drop-and-lock end joints make installation a breeze. A solid virgin vinyl layer enhances durability and provides exceptional embossing detail and texture while an attached underlayment minimizes sound, is shock-absorbing, and enhances warmth and comfort under foot. This flooring is both phthalate-free and formaldehyde-free to ensure product safety. LifeProof Luxury Vinyl Flooring does not require acclimation. 100% LifeProof, 0% worries. Our easiest-to-install flooring ever! Install an entire floor cleanly, easily in just a few hours. Easy GripStrip installation Lays directly over your old floor; no floor prep or messy glue needed! Looks and feels like ceramic tile feel the texture! Water resistant. Perfect in high moisture areas basements, kitchens, and bathrooms. Warm comfort and quiet under foot. 25 year residential warranty. Aquabar "B" floor and tile underlayment is an extremely effective moisture vapour retarder for use in a variety of interior construction applications. Consisting of two layers of Kraft paper laminated with asphalt, Aquabar "B" is a non-reinforced 30/30/30 duplex type Grade "B" paper. In the battle against interior moisture damage, the best defence is a strong offense. When you block moisture vapour from creeping underneath finish materials or reaching moisture sensitive substrates, you help increase the useful life and appearance of finish surfaces. To help win the battle, the Fortifibre Building Systems Group offers Aquabar "B" as inexpensive insurance to reduce moisture-related problems. 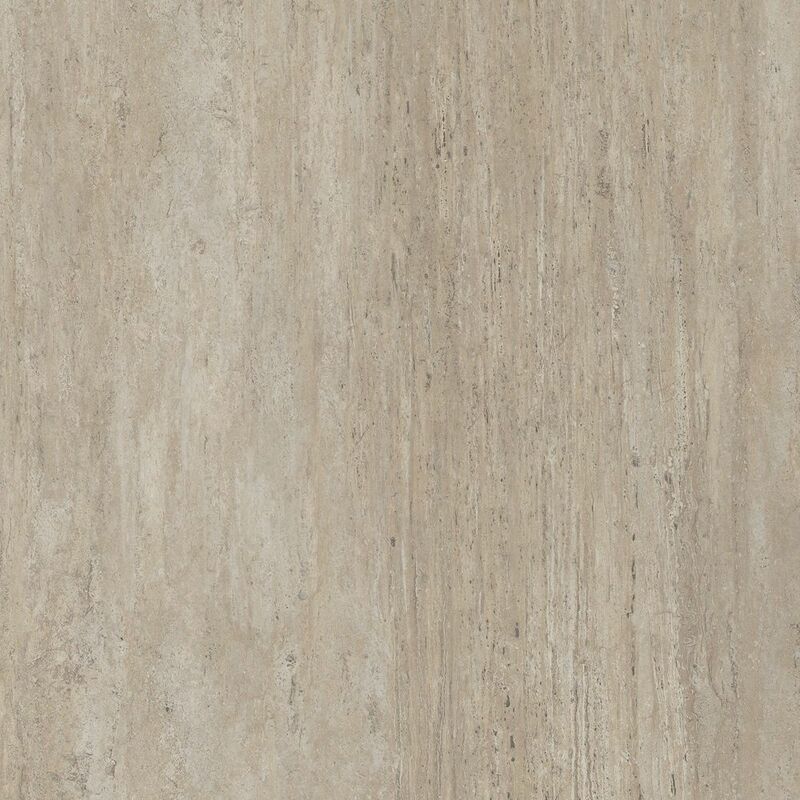 New Travertine 16-inch x 32-inch Luxury Vinyl Tile Flooring (24.89 sq. ft. / case) LifeProof is the latest innovation in vinyl flooring, available exclusively at The Home Depot. LifeProof Luxury Vinyl Flooring features an innovative, highly engineered closed-cell foamed vinyl core that delivers rigidity and strength, yet is lightweight and easy to handle and install. LifeProof Luxury Vinyl Flooring features authentic embossing that looks and feels like real tile. The simple drop-and-lock end joints make installation a breeze. A solid virgin vinyl layer enhances durability and provides exceptional embossing detail and texture while an attached underlayment minimizes sound, is shock-absorbing, and enhances warmth and comfort under foot. This flooring is both phthalate-free and formaldehyde-free to ensure product safety. LifeProof Luxury Vinyl Flooring does not require acclimation. 100% LifeProof, 0% worries. New Travertine 16-inch x 32-inch Luxury Vinyl Tile Flooring (24.89 sq. ft. / case) is rated 2.8 out of 5 by 6. Rated 1 out of 5 by Donny from 1 year update to after install These tiles are a complete fail . All the short sides are coming up. ( 16x32) I have expansion area at both ends ,, in fact , the go under cabinet on legs) and have about a foot before wall . Rated 4 out of 5 by FTW2 from So far so good Installation went well; looks good; easy to clean; nice feeling underfoot - cushy in a good way. Much warmer feeling than ceramic tile. Rated 5 out of 5 by GrNt from Easy to install The job went very well. No problems. I even like the darker veiny lines in the pattern. I have dark wood paneling on the walls and this floor pulled it all together. Rated 5 out of 5 by Terrie from Love it.. Bought a month ago, installed in no time in our kitchen over vinyl sheet flooring. I have put Lifeproof in 2 rooms in my house and both have turned out very nice. The question I have is that I would like to put this flooring in my cabin but it is only a 3 season cabin. What will the cold temperatures do to the flooring? I will be installing the new Travertine Luxury vinyl tile and I was wondering how you cut this new material .saws knife ?? ?